Zhejiang Commins Machiner Co., Ltd.
Zhejiang Commins Machiner Co., Ltd. was established by Lings Enterprise Group in 1983. 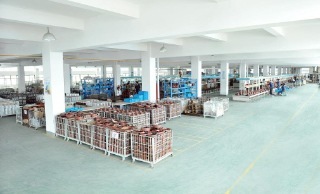 We are a well-known private enterprise in Zhejiang Province. Our products include gearbox reducers, components of industrial sewing machines, and automobile parts. We have 12 manufacturing plants and have been certified by ISO9001:2000, UL, CSA, CE, and CCC. With advanced technique, equipments and management, we will fully exert our predominance to innovation and manufacture and would like to cooperate and develop with all friends. Worm gearbox reducer is widely used for agriculture irrigation fileds. Hunan Common Future Arts & Crafts Co., Ltd.
Commonpeace Technology (Hongkong) Co., Ltd.
Commutech International Informatics Technology Co., Ltd.